"I volunteer at the Friendship Circle because I can make a difference"
As a volunteer you are the core of the Friendship Circle. To keep everybody connected and in touch, we need you to log your volunteering hours. The FCconnect website and app makes it easy for you to communicate with us. If you earn 2,500 Friendship Points or more, you will receive the Friendship Circle Special Needs Fellowship Award. 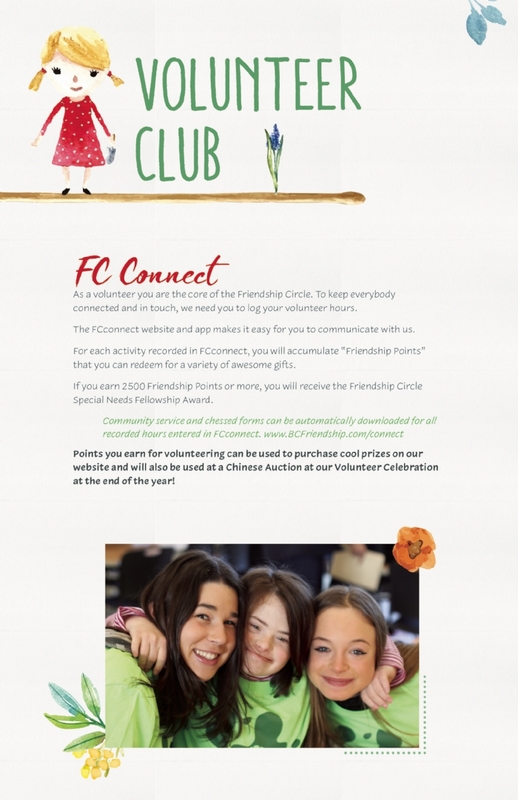 Points you earn for volunteering can be used to purchase cool prizes on our website and will also be used at a Chinese Auction at our Volunteer Celebration at the end of the year! We challenge teenagers to give their time, patience, and love. The reward is a unique friendship with someone who will immediately accept you, come to love you, and never forget you. Find a phone to contact Zeesy Grossbaum at 201-262-7172, or move your mouse and e-mail to Zeesy@BCFriendship.com.